The quest for the perfect idli - found it! I had, of course, gone there for idlis. I asked for a plate. The idlis were served with a chutney and karam podi on top. I took a bite. The first ting that put me off was that the idlis were not steaming hot. An idli tastes best only when it is hot. These were not stale, but not 'just off the flame'. Passable, I thought to myself. I asked for another plate and asked for hot idlis. A guy who seemed to be calling the shots and whose name seemed to be Ram from the way people addressed him as 'Ram bhai' - a lad of about 24-25 - pulled out a steel container from atop the bandi and handed me a plate. Seemed to be just the same. Insipid fare. Disappointed, I headed back home. I had still to find the perfect idli in my city. This Sunday, I decided to go back to Govind ki bandi. I had been there with my brother a couple of months back. I had loved the idlis there but due to the perceived distance, I did not go there again. I say perceived because it is right next to the famous Charminar which is considered to be far off from my house. I checked the distance on Google Maps and was surprised to find it was just about a kilometre more than Poorna. I have this thing about me that feels a little hesitant to do things I like especially if they involve a little effort. My Libran indecisiveness makes things worse. So, this Sunday morning, as I was sipping my Darjeeling tea, I debated endlessly whether I should go there or not. I wondered if that day being the last Sunday of the holy month of Ramadan would result in huge traffic. Not at 7 a.m., the other side of me argued! Finally, I decided to go. I reached in less than 20 minutes! The roads were empty if you disregarded the carts that had the wares that were on display for sale the previous night. The rain had also made the roads quite mucky. I parked my car as Govind's bandi came in sight. The owner, Govind and his staff were all now decked in red T-shirts that had "Govind's Dosa" painted on them. I ordered a plate of idli. They served a plate of piping hot idlis with chutney poured over them. I took a bite. It was awesome. I enjoyed every bite. Ordered one more and then one more. I then saw the wadas. They looked tempting as well. I disregarded my diet that prohibited fried foods for a bit and finished off a plate. This was truly heavenly. I was very happy with this find. I will now make this a regular Sunday affair. 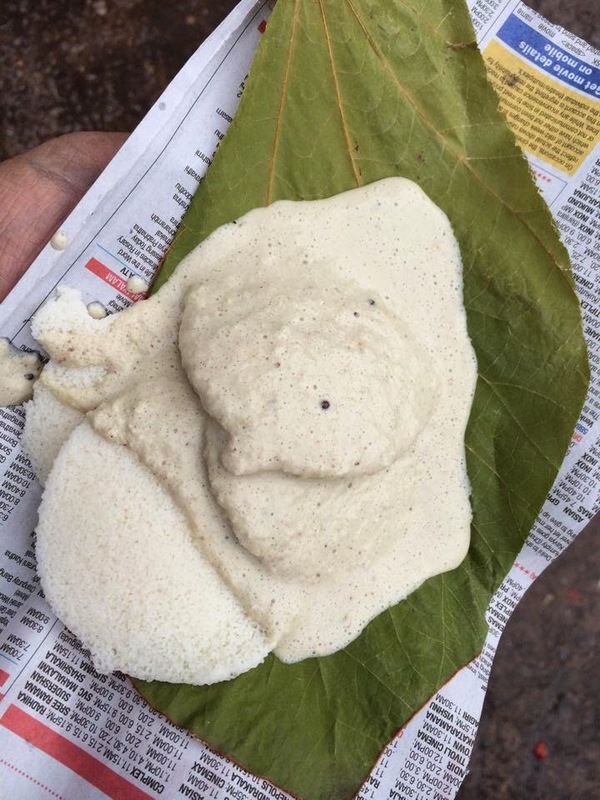 My quest for the perfect idli in my city had finally ended!